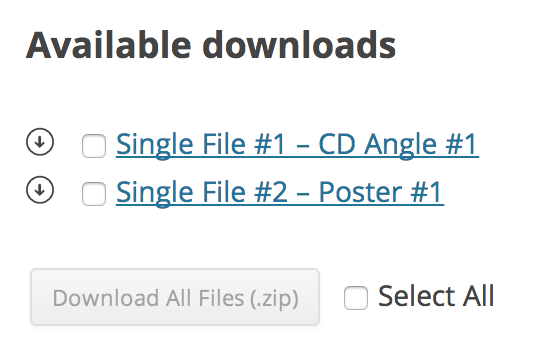 Download all (or a selection) of your downloadable products in a single ZIP file. Enable your customers to easily create and download a ZIP file of their purchased downloads when on theirMy Account screen. It’s extremely straight forward to use and intuitive for customers. How your customers will see their available downloads, on their “My Account” screen. The list of downloads will include all of the customer’s Available Downloads, that they’ve either purchased or been given permission to download by the store manager. The customer can can select the ones they’d like to download or Select All and then download a dynamically created ZIP file containing the selected files. 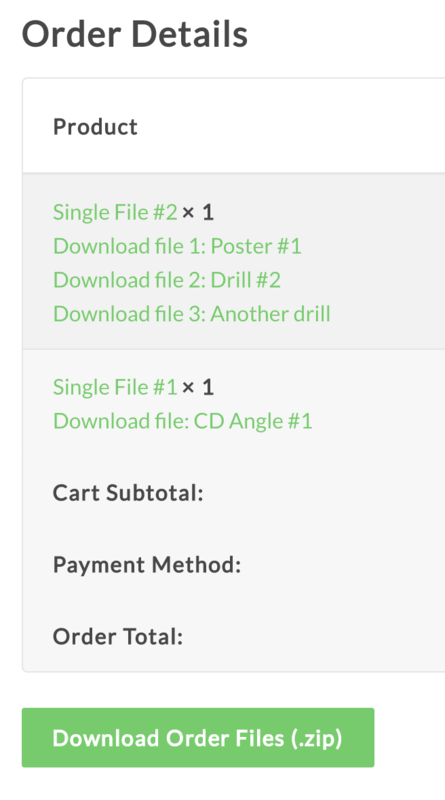 A ‘Download Order Files’ button is also added to the ‘Order Received’ page, so your customers can easily download the files from an order straight after completing their checkout!